I offer many types of consultations in many different contexts. Whether you prefer individual or group sessions; face-to-face, phone or Skype appointments; themed tapping events or custom sessions; private or corporate events, you will find a consultation that fits your needs. If you want to stay updated and receive regular news from me, including informative articles, transformative videos, interviews, tapping tips and products, don’t forget to register for my newsletter. I’m currently putting together a number of books and workbooks on topics close to my heart: EFT for creativity, EFT for food addictions and overeating, Surmount your fears with EFT. Stay tuned to my progress by visiting the following page. 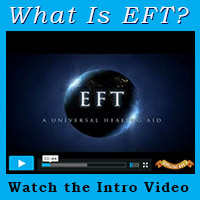 A workshop or a class is a great way to learn how EFT can be applied to a specific topic. It also gives you the opportunity to try tapping on that issue while overseen by a professional. Not only does it jump-start your healing journey with a new understanding, tons of insights and a road map for the future, it actually takes you by the hand and leads you most of the way. In addition to the classes I’ve taught and will teach again in the future, I can work with you to design a custom workshop on the topic and the context (personal or corporate) of your choosing. For a list of my classes, visit this page.